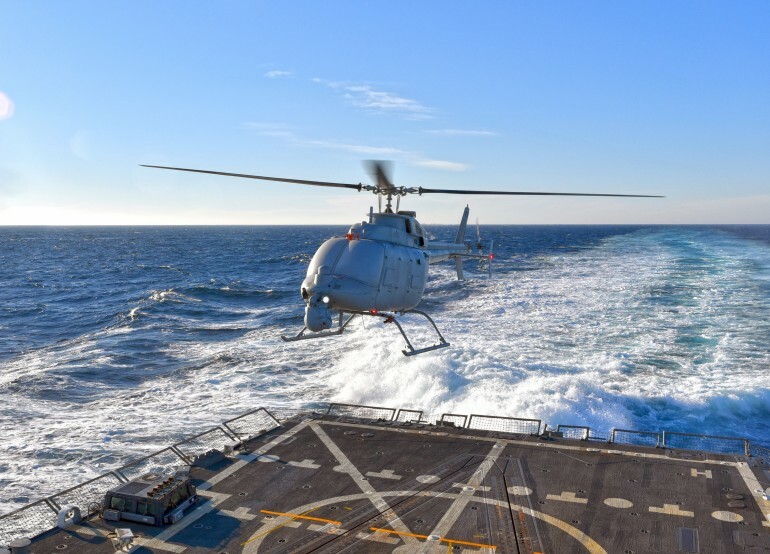 Our general notion about UAVs takes a back seat when it comes to Northrop Grumman MQ-8C Fire Scout – one of US Navy’s advanced unmanned helicopters. A successor to its smaller brethren – the MQ-8B, which has already seen action in Afghanistan; the MQ-8C is based upon the boisterous air-frame of a Bell 407 helicopter. In addition, it is upgraded with a whole new engine system and fuel tanks that allows the craft to fly for 12 continuous hours, with a substantial payload of 318 kg (701 lbs). 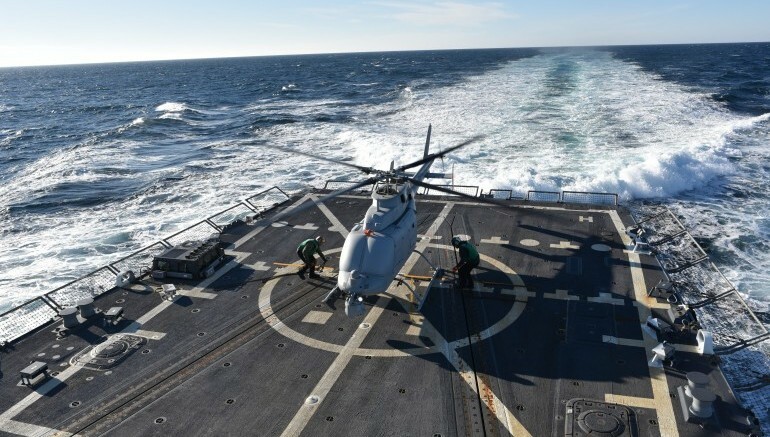 And, now the design adds another feather in its cap by being the navy’s very first unmanned helicopter that has successfully made its take-off and landing actions from a marine-based destroyer (USS Jason Dunham), off the coast of Virginia. Interestingly, the successful phase was achieved after a rigorous one-year period of land based testing. To that end, the armored MQ-8C does boast of better avionics than its predecessor, while comprising of a robust Rolls-Royce 250-C47E engine. When translated to figures, the unmanned helicopter has the range of 170 miles (or 280 km), which is complemented by the aforementioned flight time of 12 hours. 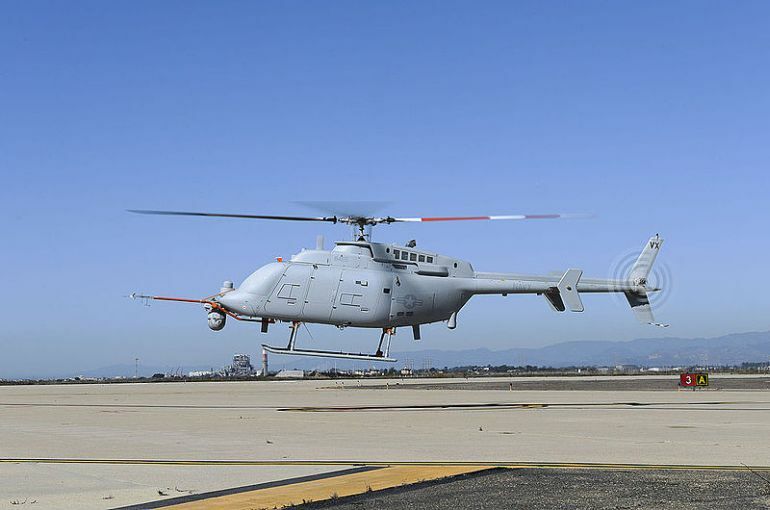 In consideration of these attributes, the MQ-8C is primarily envisioned as a support aerial vehicle that can provide crucial supplies and logistics for special forces active on ground missions. However, the engineers are confident of further utilization patterns of the design – since now the UAV has the tactical advantage of landing upon a sea-based craft. 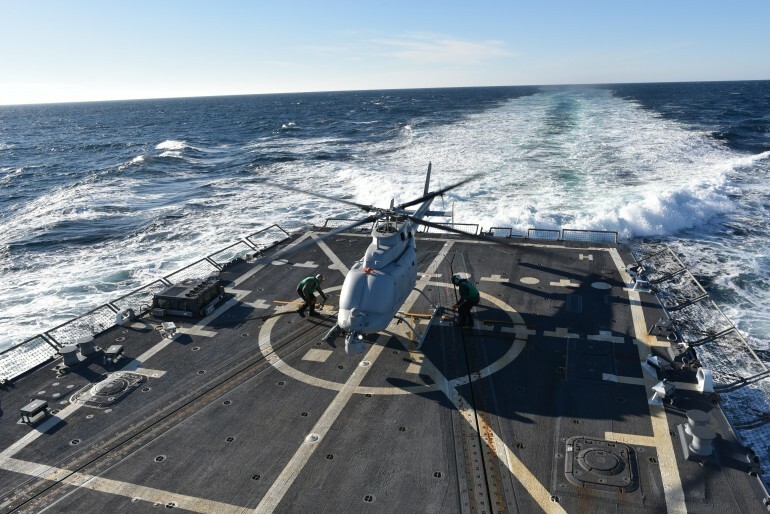 To that end, the MQ-8C vaunts its autonomous flight controls, sensor suite, advanced data-link scope, and progressive take-off/landing techniques that could be vital for marine-based military objectives. Furthermore, the navy is also looking forth to a potential weapon-carrying capacity of the helicopter that would seriously change the game for short-term missions and raids. These dynamic interface tests are an essential part in clearing the operational envelope of the system and are proving the system’s ability to operate off any air-capable ship. We are on track to validate all of the critical performance parameters of this Navy asset and ready the system for deployment and operational use.